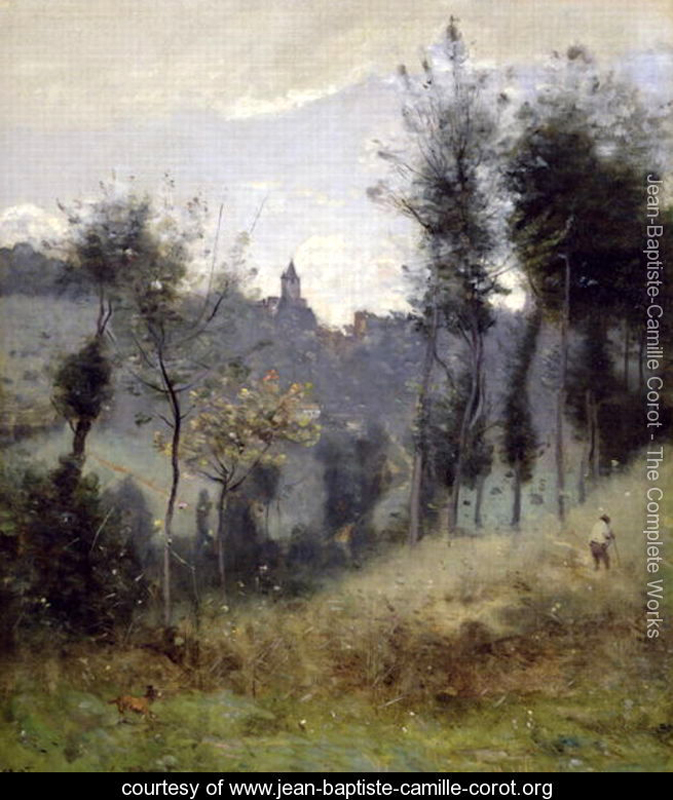 How does one become an accomplished landscape painter without direct study of nature? The simple answer…you don’t. 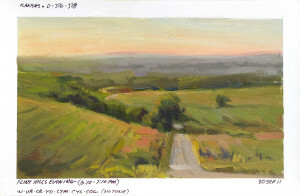 Painting and sketching directly from nature is probably the most important tool of the landscape painter. 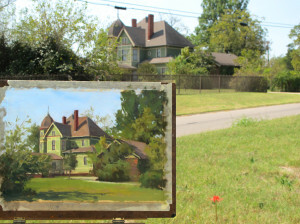 The current resurgence of plein air painting has definitely shown many painters, who seldom if ever painted outdoors, its importance. To say that plein air painting is the only way to achieve a quality painting of the landscape would be a mistake. 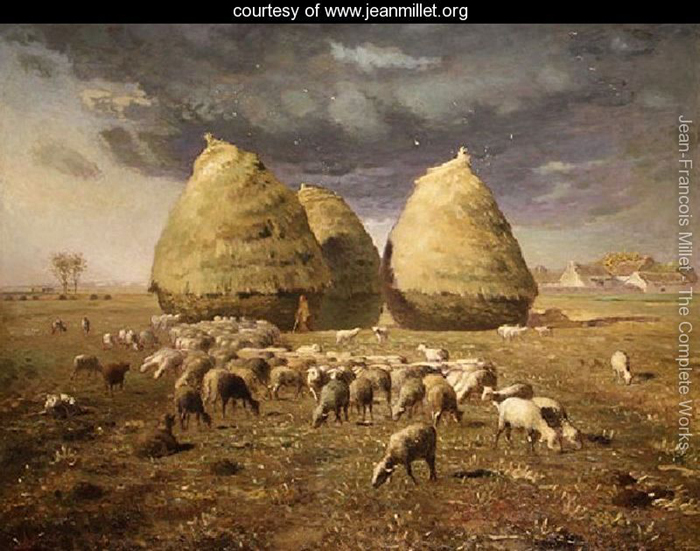 Prior to the 1800’s, artists just didn’t paint landscapes on location. 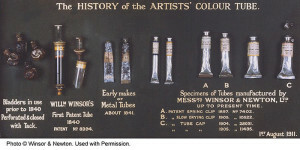 They primarily worked from detailed sketches. But if you want to capture all the subtle color nuances of nature, there’s no better way than with paint, brushes, and canvas. 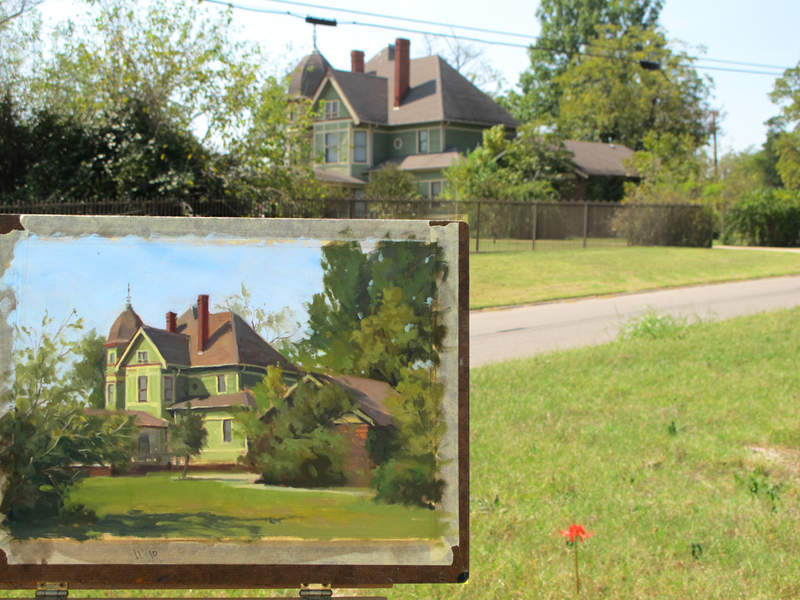 The tradition of actually painting en plein air (in the open air) began in the mid 1800’s as paint became more transportable and less susceptible to drying out. 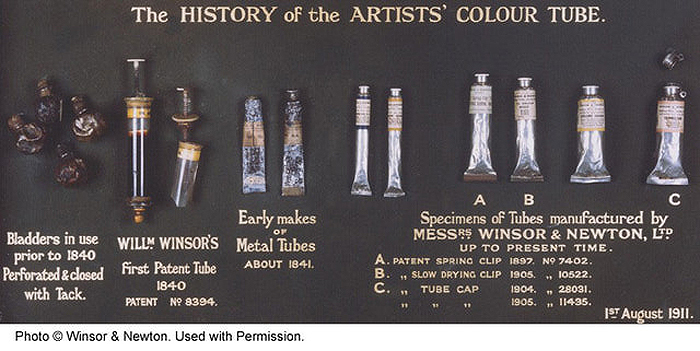 It was an American portrait artist, John Goffe Rand, who invented the collapsible metal tube in 1841. 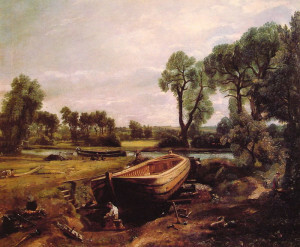 Constable, Corot, Millet, and Daubigny were all at the forefront of painting on site as preparation for the larger, more resolved studio works. Corot, in fact, never considered his plein air work as finished work and therefore never exhibited them publicly until late in life…and I think then…only because others who saw the work were so impressed that they encouraged and insisted that they be shown. Times and tastes were changing also, as evidenced by the rise of Impressionism. The quick sketch, directly from the motif, somehow captured the immediate, the essence, in a way studio paintings could not. 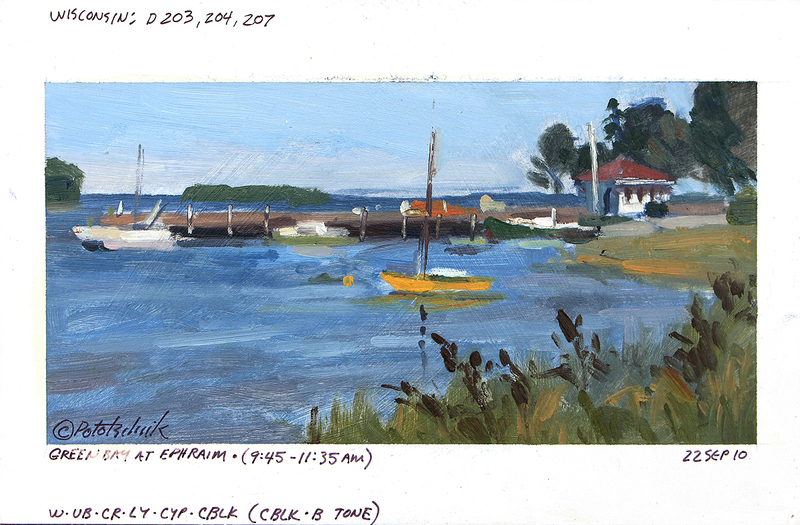 Early in my fine art career, it was Tony Eubanks who exhorted me to make plein air painting a regular practice. My very first time out, I was amazed how gray nature was compared to the bright palette I normally used as an illustrator. I couldn’t believe it. Everything about my work changed from that first day. I actually stumbled upon my current way of working in the open air when I wanted to capture something very quickly. I had some paper which I taped to a board, and began painting. Upon completion, I painted a rough border around it to finalize the composition and came to realize this was a great way for me to work. Also, painting on paper took up little space and they were easy to file. I soon found 3-ring binders that held sheets 5.5″x 8.5″. So now almost all my outdoor work is done on these sheets, covered with one coat of gesso, and filed in notebooks. I’m currently working on my tenth notebook. Each book contains 100 paintings. There are exceptions of course when I do paint larger works on location, but these small works on paper are the norm. 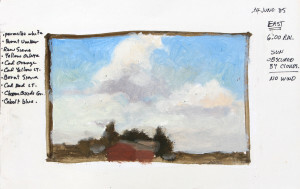 I basically view all the plein air work as an opportunity to learn and thereby improve the studio work. The most important thing for me is to accurately capture the correct color and value relationship between the sky and land mass. It seems a correct balance here makes a painting look natural, true to nature. It’s a huge goal for all my studio work…to make each painting look and feel very natural…as if it was painted on location. The studies are filed in the notebooks by date. Each painting will have pertinent information noted: location of the painting site, time painting was done, weather conditions and direction I was facing, palette of colors used and with what color the paper was toned if applicable. Finally, I also include where a photo of the scene may be located in my files: photo (P), slide (S), or digital (D). James Gurney has posted a wonderful blog discussing Constable’s outdoor painting materials. You may access that HERE. To view his art and bio, please click HERE.